Sherry F. Colb is Professor of Law and Charles Evans Hughes Scholar at Cornell Law School. When I clerked for Justice Harry Blackmun in 1992, his practice was to have breakfast with his law clerks every morning. One day, after we sat down to eat, the justice handed me a letter and asked me to read it aloud. I read the first paragraph and looked up uncertainly. The writer had said Blackmun was in the third trimester of his life, ready to enter the abortuary in the sky. I asked whether we should have the letter and writer assessed as a possible threat, but the justice shook his head. He seemed too relaxed for someone in whose home had long sat a chair with a bullet hole in it. A shooter had taken aim seconds after Dotty, Blackmun’s wife, had risen from her seat. I have no idea whether Justice Anthony Kennedy received death threats for protecting reproductive choice. Either way, it could not have been easy for him. The easy option in 1992 was to join Chief Justice William Rehnquist and Justices Byron White, Antonin Scalia and Clarence Thomas in overruling Roe v. Wade. 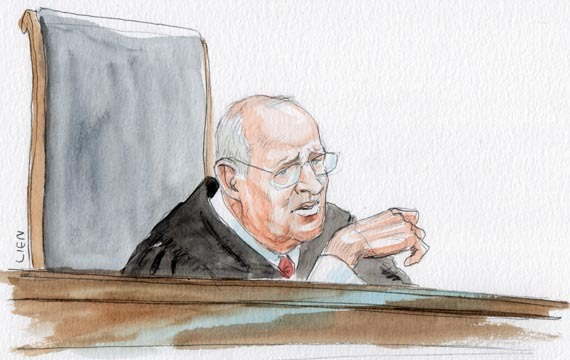 Indeed, some of the language in the chief justice’s Planned Parenthood v. Casey dissent suggests that Rehnquist had originally written it as a majority, one that would almost certainly have included Kennedy. Blackmun and Kennedy shared more than a willingness to protect abortion rights. Both justices were, as Blackmun liked to say, someone’s “third choice.” President Richard Nixon had first nominated Clement Haynesworth and then G. Harrold Carswell, both of whom failed to ascend to the high court due to their questionable records on civil rights, along with other issues. Before President Ronald Reagan selected Kennedy, he first nominated Robert Bork, whom the Senate rejected as ideologically extreme, and then Douglas Ginsburg, who asked to be withdrawn from consideration after admitting to marijuana use. Only then did Reagan turn to Kennedy, whom the Senate confirmed. 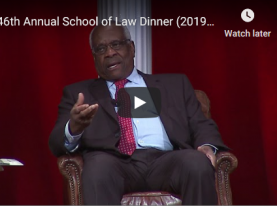 Just five years later, he disappointed social conservatives by co-authoring a three-justice opinion reaffirming the right to abortion. Liberal critics will point out that Casey provided substantially less protection for reproductive freedom than Roe v. Wade had 19 years earlier. The Casey joint opinion upheld all but one challenged Pennsylvania provision, the husband-notification requirement. This criticism misses the fact that for Kennedy and the two other Republican appointees with whom he joined (Justices Sandra Day O’Connor and David Souter), the choice was not between Casey and Roe but between Casey and the Casey dissent. Even as they knew that more burdensome restrictions would now remain in place, contemporary abortion-rights supporters felt a palpable sense of relief when Casey had come out as it did. In the years since then, Kennedy’s record on abortion-related matters has varied. A free speech libertarian, he consistently voted in favor of pro-life protesters and against laws and court orders aimed at protecting women seeking abortions from harassment. In Casey itself, echoing the pre-Casey opinion that Kennedy had joined in Rust v. Sullivan, the joint opinion upheld a requirement that doctors provide abortion patients with materials making factually questionable claims about fetal development. After Justice Samuel Alito replaced O’Connor on the Supreme Court, Kennedy in 2007 turned his Stenberg dissent into law. 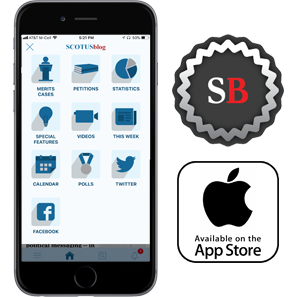 Technically distinguishing rather than overruling the Nebraska precedent, Kennedy wrote an opinion for the court in Gonzales v. Carhart upholding a federal partial-birth abortion ban. Kennedy’s two partial-birth opinions reflect his moral revulsion. Yet he did not draw a clear distinction between the abortion method that Nebraska and federal law forbade and those which they permitted. Nor did he explain how forbidding one kind of gruesome abortion but not another, sometimes less safe but equally gruesome kind, served the state’s interest in exhibiting respect for fetal life. Kennedy’s opinion for the court in the federal case suggested that the law could advance an interest in informed choice. Kennedy speculated about the likely impact on women of undergoing a procedure in which the provider kills the fetus after it has partially exited the womb. He said: “While we find no reliable data to measure the phenomenon, it seems unexceptionable to conclude some women come to regret their choice to abort the infant life they once created and sustained. Severe depression and loss of esteem can follow.” The acknowledged lack of reliable data seems to undercut this conclusion. The State has an interest in ensuring so grave a choice is well informed. It is self-evident that a mother who comes to regret her choice to abort must struggle with grief more anguished and sorrow more profound when she learns, only after the event, what she once did not know: that she allowed a doctor to pierce the skull and vacuum the fast-developing brain of her unborn child, a child assuming the human form. Kennedy’s feelings about the abortions he describes are plain. He found the prohibited method barbaric and was willing to assume that it would cause regret, depression and misery. But even if all of his factual assumptions were correct, his response — the wish to ensure that “so grave a choice is well informed” — had little connection to a law prohibiting the procedure altogether. Yet he apparently concluded that banning “partial-birth” abortions served to inform patients about the procedure. Included among women who wrote for this site were those who declared that that they were grateful that they could terminate their pregnancies. Conversely, women sometimes regret the decision to have the child, as did a number of those who surrendered their babies in the era before Roe v. Wade. And some women regret having and keeping their children, though for obvious reasons, they tend not to “shout” about that. At some point, many abortion-rights activists and lawyers began to lose faith in Kennedy, concluding that he was prepared to uphold virtually any abortion restriction that came his way. Then the court decided Whole Women’s Health v. Hellerstedt. The 5-3 ruling invalidated two provisions of a Texas statute mandating that abortion providers meet onerous requirements that could shutter a significant number of the state’s clinics without conferring a measurable health benefit upon women. Kennedy joined Justice Stephen Breyer’s majority opinion finding that the Texas law imposed an undue burden on the abortion right. The ruling was important, because other states had adopted similar provisions in order to make abortions extremely difficult to obtain while leaving undisturbed the procedure’s technical status as legal. In announcing that the court would weigh a state’s proffered interest against the burden that a law imposed on a woman’s choice, Whole Woman’s Health strengthened and usefully clarified the test that the Casey joint opinion had adopted nearly a quarter of a century earlier. That clarity might prove short-lived, however, because a post-Kennedy court is very likely to cut back on and perhaps eliminate the abortion right. Even before Kennedy announced his retirement, the last week of the term brought another development from his chambers that negatively affected abortion rights. Writing for the court in NIFLA v. Becerra, Thomas, joined by Chief Justice John Roberts, Kennedy, Alito and Justice Neil Gorsuch, said that California could not compel “crisis pregnancy centers” – anti-abortion operations — to inform patients about available, government-subsidized abortion services. California’s law requiring disclosure violated the centers’ First Amendment right not to speak, said the 5-4 majority. The NIFLA court did not accept California’s argument that disclosure might be necessary because crisis pregnancy centers regularly draw pregnant women who want an abortion and mistakenly believe that they can get one there. On the assumption that pregnant women have visited the centers out of a genuine interest in their services, the court regarded California — in Kennedy’s words in a concurrence — as an “authoritarian government” attempting to compel abortion-friendly statements from pro-life workers. Kennedy did not explain the apparent tension between his willingness to view California’s disclosure requirements as an authoritarian effort by the government to compel unwelcome speech by crisis pregnancy centers and other decisions he joined that upheld laws requiring speech by abortion providers. In this and other reproductive rights cases, Kennedy disappointed the pro-choice community. Blackmun was at least as disappointed in Casey as pro-choice advocates were, focusing on the chasm between the Roe that he had authored and the far slimmer abortion right announced later. But Kennedy was never going to be Blackmun on abortion; for Kennedy, Casey was a big step, one on which he followed through with grace in Whole Women’s Health. Blackmun would have approved. With Kennedy leaving the Supreme Court, these decisions and the abortion right that they guarantee may vanish in an instant or by a thousand cuts. Either way, we will learn just how pro-choice Kennedy was and just how grateful abortion-rights advocates should have been for the additional and unexpected quarter century of choice that he granted American women.